With ever-rising fuel costs and stringent government fuel-mileage/emissions requirements set for the years to come, the car industry has been forced into seriously considering the use of hybrid technology in their cars. There’s already an entire new generation of ‘plug-in’ hybrids hitting the showrooms as I write, with encouraging performance and mileage statistics. It’s safe to say the race is on and every manufacturer is refining their technology to achieve better gas mileage. Even performance brands such as Ferrari and Mercedes have joined in using the ultra high-tech feedback from their Formula 1 cars. Below, I’ve listed some cars that operate on hybrid technology, proving that you don’t have to compromise on performance using electricity. In fact, some are even faster than the standard combustion engine and produce fewer emissions. This large Lexus is focused on luxury, but also offers better mileage and power-performance than its petrol-only counterpart. 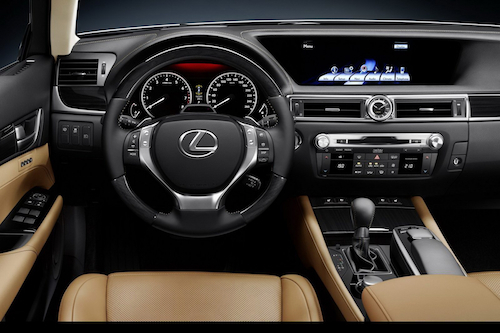 Years of experience show in this 2013 offering from Lexus. The older models were noticeable inferior to this model, with lower power and mileage numbers. With this model, Lexus are competing again with their rivals. The interior, in particular, is much more comfortable and well-built; even the trunk is larger. Styling has been updated, and comfort details are apparent, especially in the suspension. Along with more power and performance, Lexus have also improved the handling of this car, and we are told that safety has been upgraded as well. When compared to the non-hybrid version, this car is even a bit faster in the 0-100 kph, and of course with better mileage. All-in-all, a well needed upgrade for 2013. 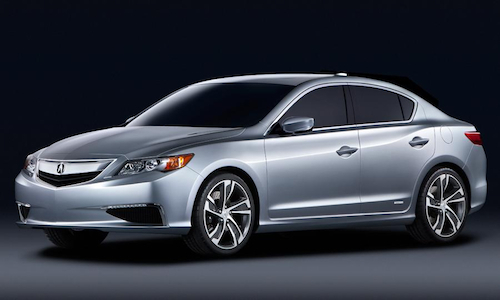 Smaller than the Lexus GS, this new Acura compact sedan performs very well in mileage and safety, and good in performance if you choose the 4-cylinder model. In fact, this is the smallest sedan offered by Acura in 2013, and its fuel economy is very good. Many standard features are included even in this lower-end model, such as a USB connector, Bluetooth, voice-to-text messaging. As for passenger space, this compact is small on the outside, and adequate on the inside. If you have tall guests in the rear seats, they might feel a big confined, but you must remember this IS a compact, and comes at a competitive price as well. This is a wonderfully engineered hybrid, but at a somewhat higher price than its competitors. 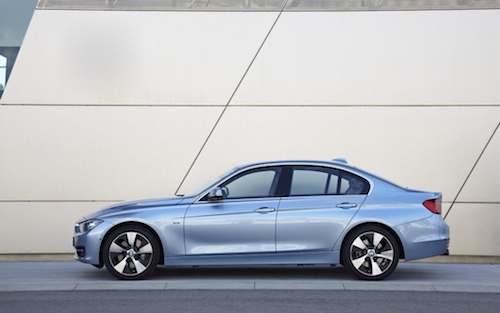 The power of the BMW hybrid is excellent, based on the electric motor balanced with a 6-cylinder turbo petrol engine, and controlled via an 8-speed automatic transmission. Performance is also very good, with acceleration and handling rated among the top of all hybrids. However, its mileage in city driving could be better. The interior has been completely re-designed for 2013, and includes more cargo space, better sound-proofing, more assured suspension and ride, and the navigation system understands the hybrid drive train as well, including air-pressure and elevation changes along your planned route – very clever! Amenities include Bluetooth and USB connection, heated front and rear seats, and optionally heated steering wheel, leather seats, and other nice features. Blind-spot monitoring and collision warning are optional. This well-designed hybrid can run in either electric-only or hybrid modes, and switches effortlessly and smoothly between them. City mileage was 29 mpg using a combination of petrol-hybrid and electric-only – good for city driving. Brakes were excellent, and showed none of the grabbiness or fading of many competitors’ offerings. 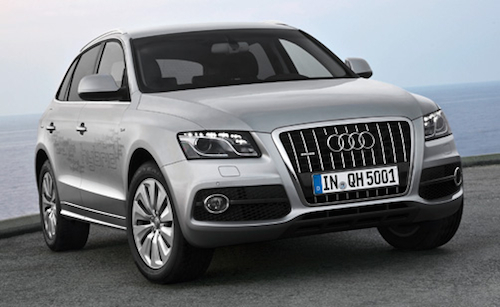 Audi Q5 also comes in a TDI turbo-diesel model, with a much more powerful engine and drive train, and is combined with a 7-speed S-Tronic transmission. The ride and handling are very good, but the steering feels a bit tighter than we expected. Written by Jimmy from CarSales.com.au loving the new Eco Auto's.